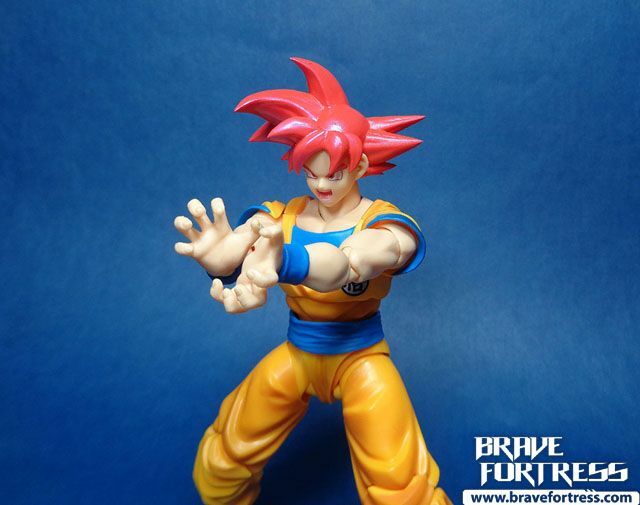 A new form for Goku! 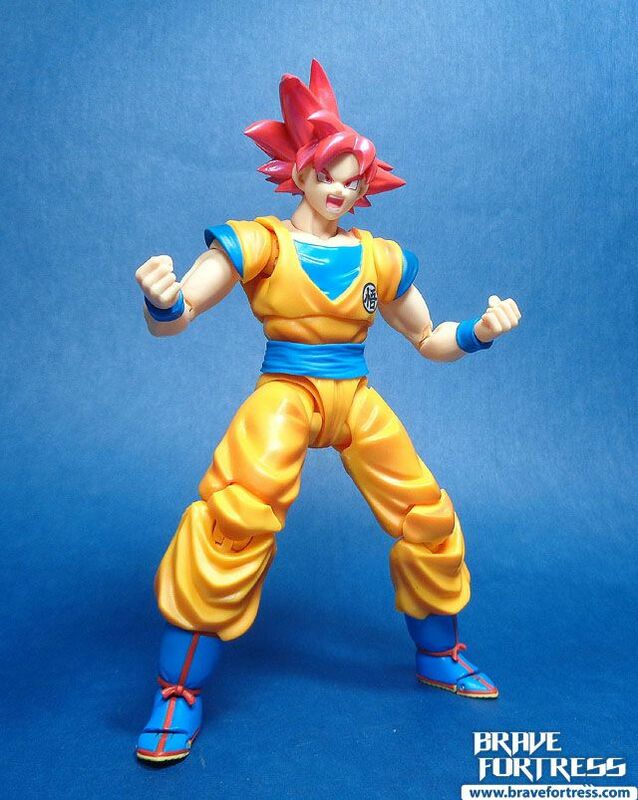 Originally, it required 6 Saiyans pouring their power into one in order to attain this form. 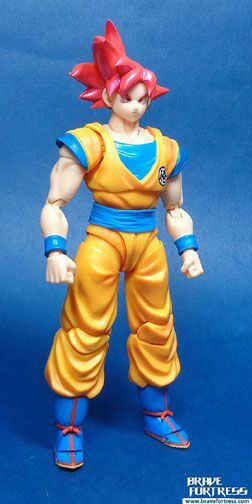 More recently, Goku has been able to attain this form without help and even surpassed it by turning into Super Saiyan Blue. 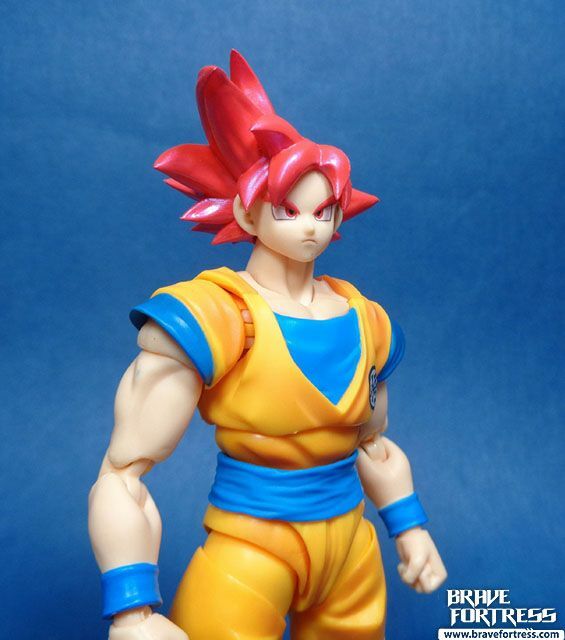 Super Saiyan God Goku is a bit leaner compared to base form Goku, which is what he’s supposed to be. 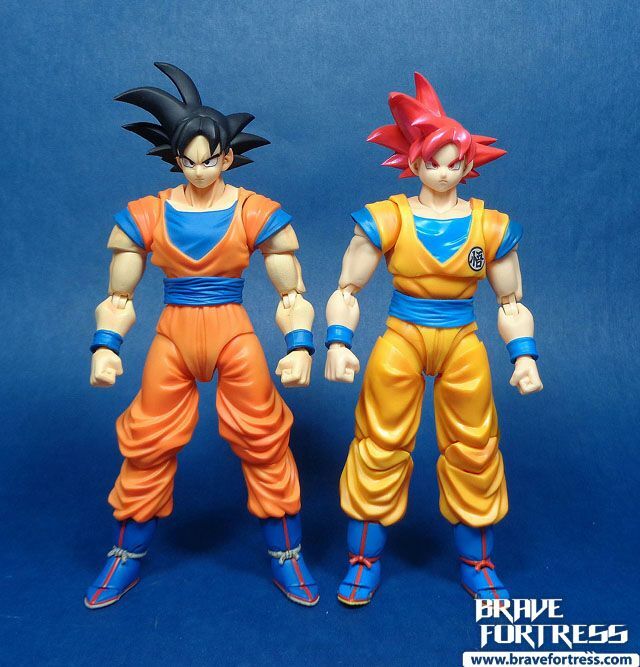 At first glance I thought they reused the same body mold. 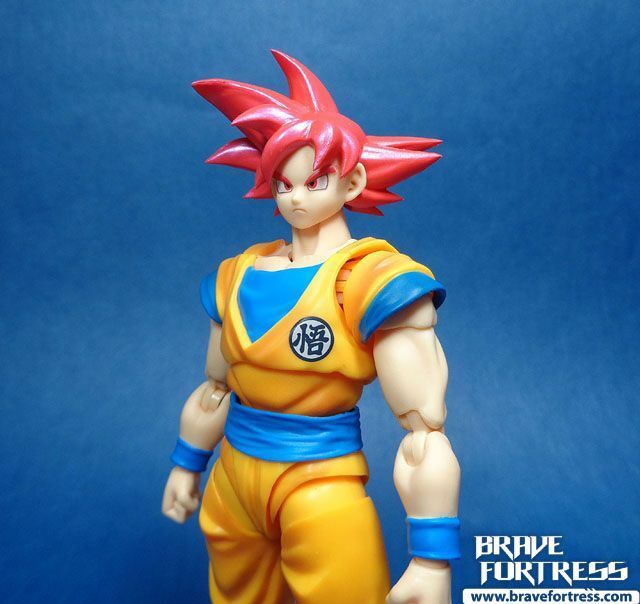 It seems they’re using the new body design here. 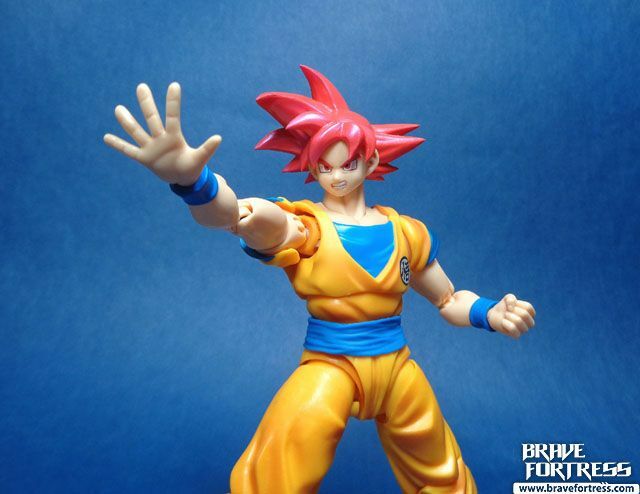 Plus slimmed down forearms to make Goku look a bit thinner. 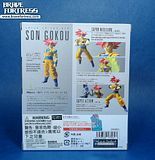 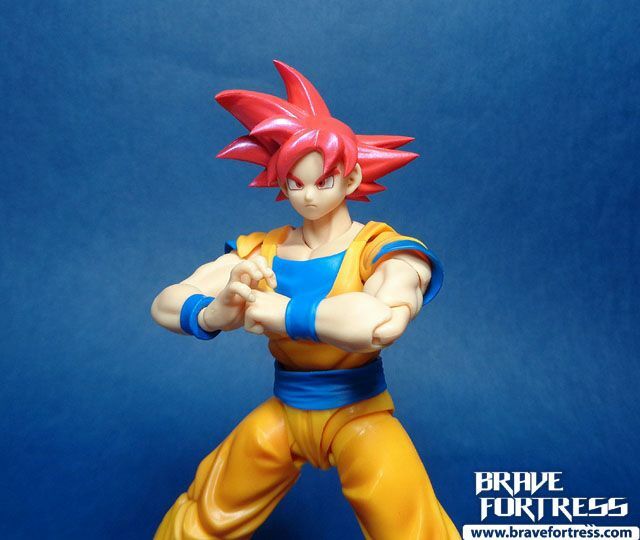 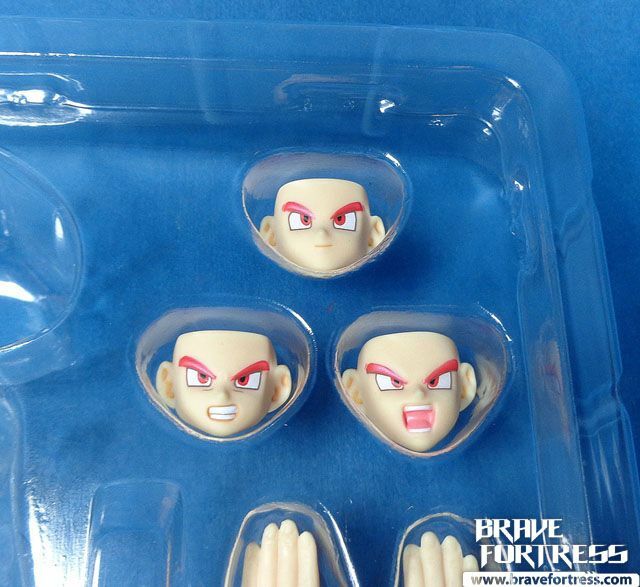 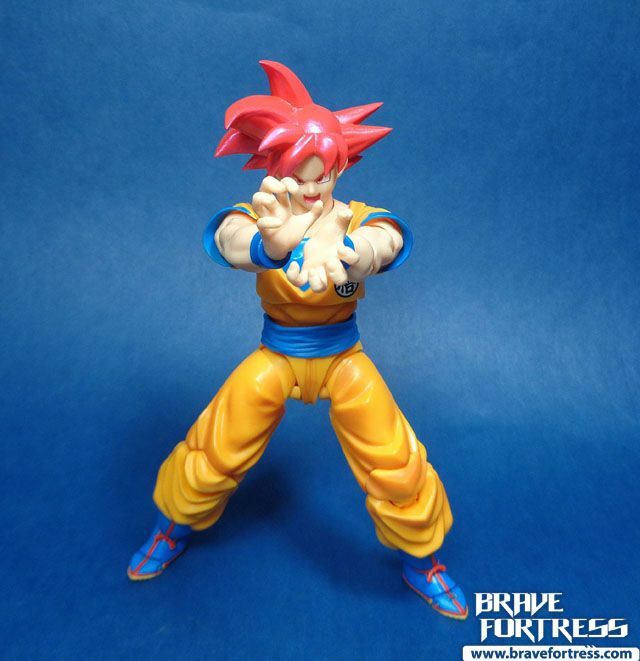 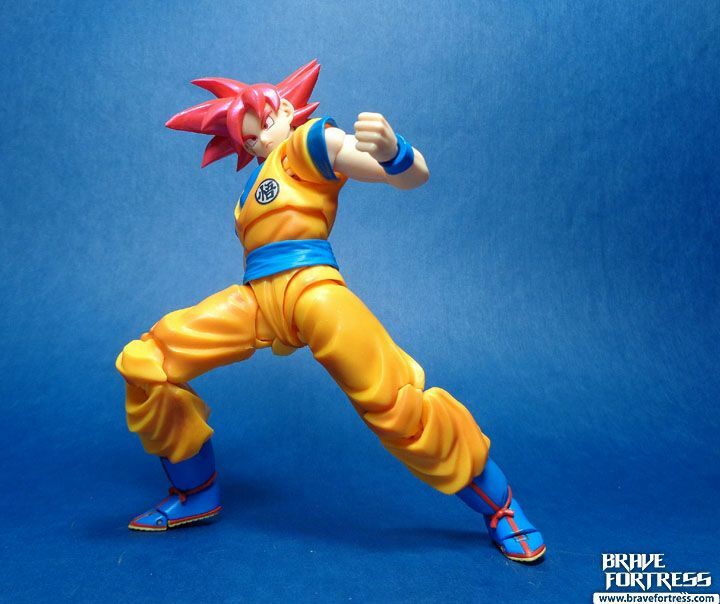 SSG Goku comes with 3 facial expressions. 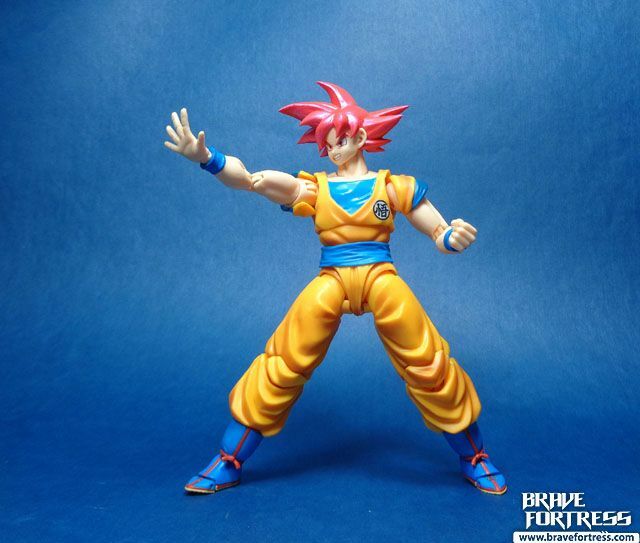 Originally, I was going to pose Goku fighting Beerus for action shots, but it was already way past midnight and I didn’t have the energy to dig Beerus out of the box. 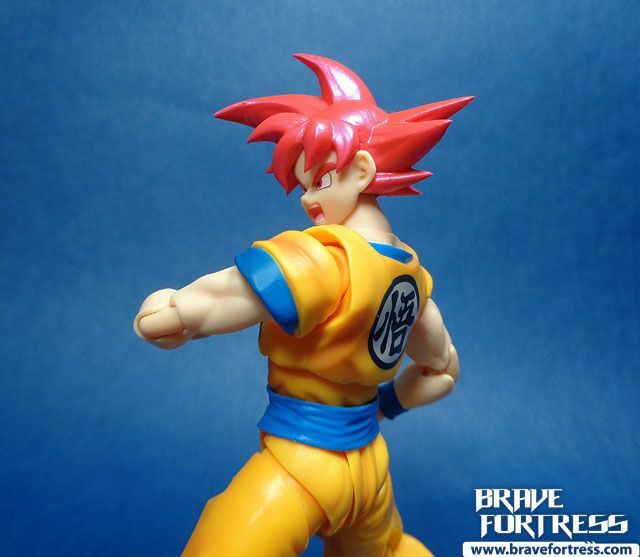 Heh, maybe another time. 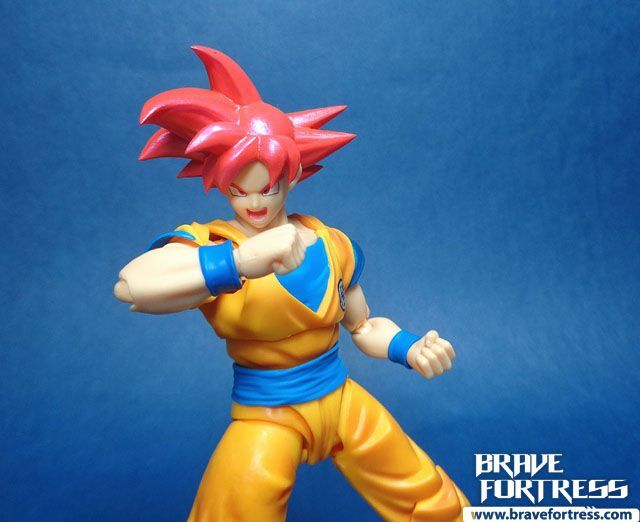 Sooo…. 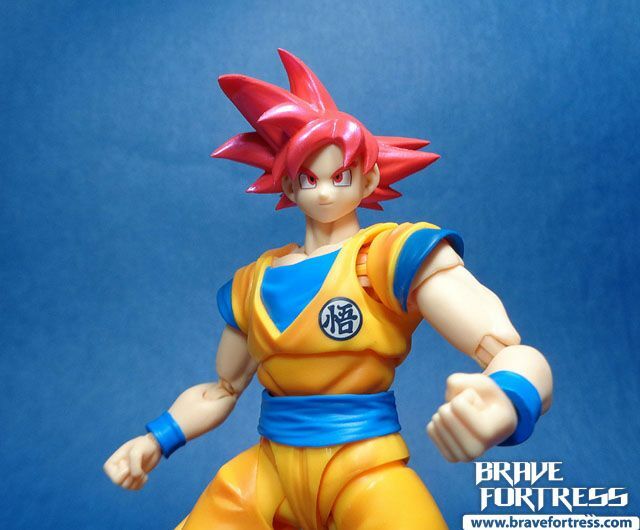 I take it Super Saiyan 4 is officially moot now in terms of Goku’s power level progression? 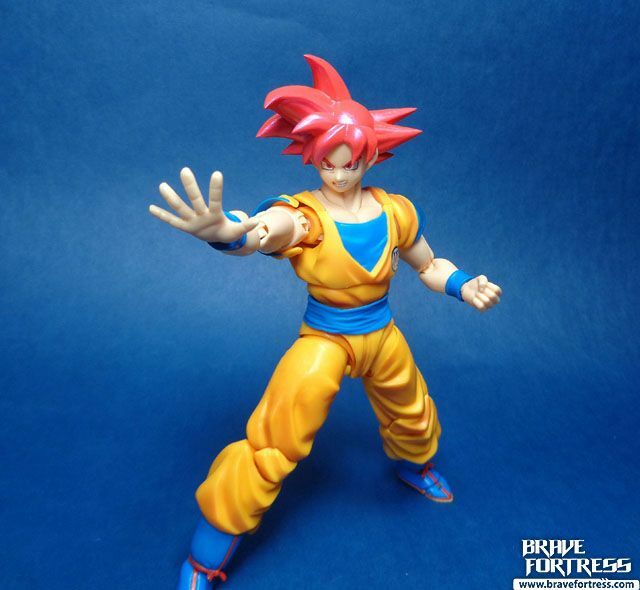 I don’t see that form topping this one, what more for the SS Blue form.